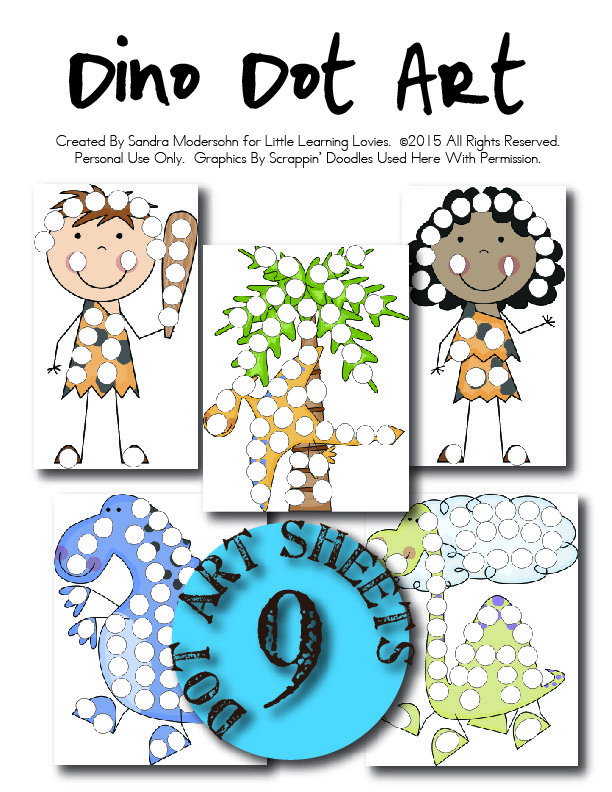 » New Dot Art Fun! 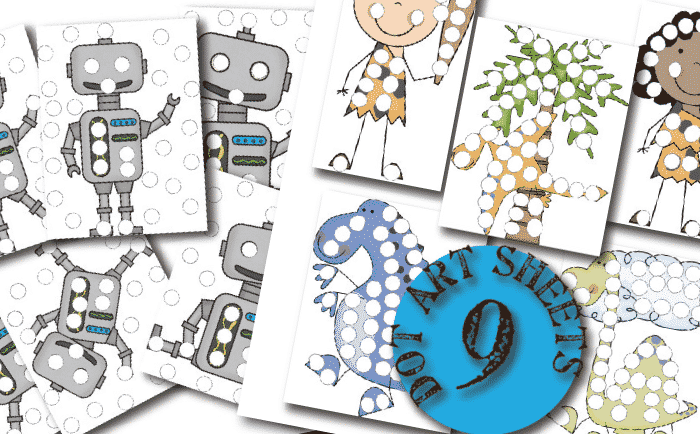 Do your kids love to do Dot Art? Mine do! 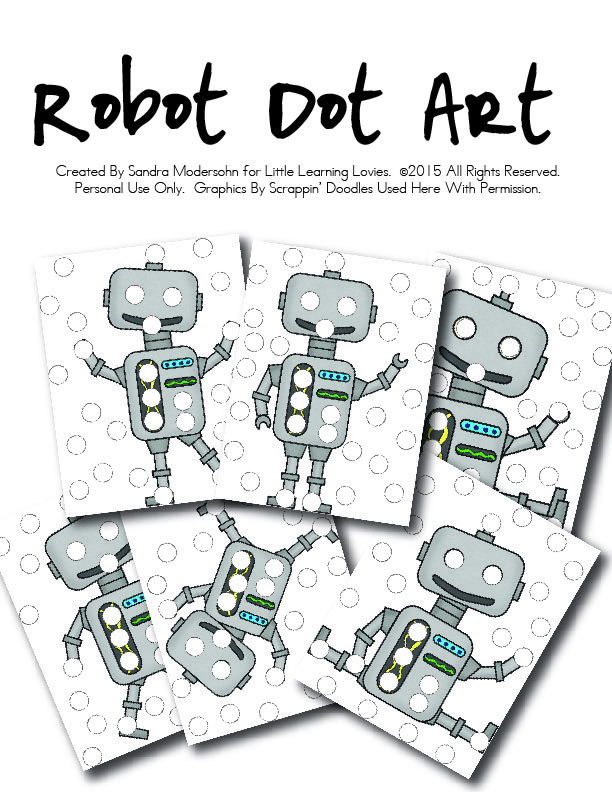 And we have lots of dot art options for you at the LLL store! There are LOTS of ways you can enjoy these art pages. You can use these, or these but we love to use THESE! 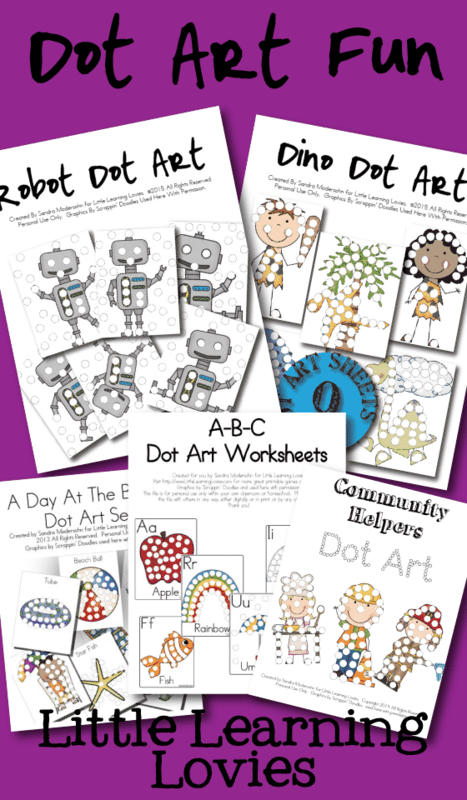 We have some brand new sets in the store today because a reader mentioned that her kiddos got dot markers for Christmas this year and needed some fun stuff to enjoy them with. 🙂 Did your family add dot art to the art mix this year? Why do this activity at all? There is a LOT to be learned by little hands when practicing dot art. Learning to place the marker tip in just the right place to fill in the spaces on the sheets takes quite a lot of practice and careful movement. You probably take this movement for granted but your sweet preschooler has to focus to make it happen. One dot in each circle on the page: It doesn’t get any more straight forward than that. You can encourage this learning by asking your child to name the colors as they choose them… when they are done, ask them to point to the yellow dot, or the green dot, etc. My own daughter quickly found herself counting each dot as she filled it in which was great practice for her. At the time, she tended to skip the number “15” but with gentle correction she quickly got herself out of that habit. It takes a lot of physical energy and mental focus for preschoolers to complete these pages. They are naturally encouraged to complete them because they are often filled with a great sense of accomplishment when they do, so they WILL focus to finish the task. Can you think of other things kids are learning through these art pages? Do You Love Dot Art, Too?